This paper describes the fossil fruits of Scirpus weichangensis X.Q. Liang, sp. nov. from the early Miocene of Guangyongfa Village, Weichang County, Hebei Province, North China. The fossil fruits are obovate in shape and their lateral sections are plumply trigonous. The cell walls of the surface are straight. The persistent stout bristles have downward-directed barbellae in distal 1/2. The occurrence of the fossil Scirpus indicates that Guangfayong was a wetland in the early Miocene. 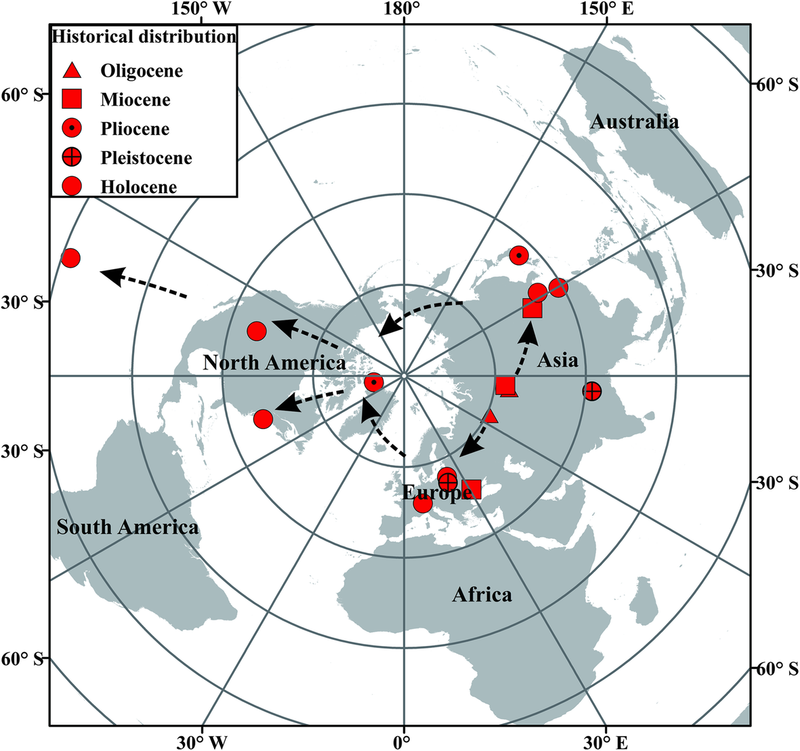 Based on the fossil data, the genus likely originated in Western Siberia in the Oligocene, spread during the Miocene, and was finally distributed worldwide in the Holocene. Cyperaceae Juss. is a cosmopolitan family, with 106 genera and approximately 5400 species (Dai et al. 2010; Spalink et al. 2016). The family is in a range from sea level up to 5475 m, covering large areas of swamp and arctic vegetation (Goetghebeur 1998). The family may have originated in the Late Cretaceous South America, and may have spread in the southern hemisphere via Antarctica (Spalink et al. 2016). Many fossils of Cyperaceae are mainly fruits or pollen. The biogeography of some genera of the family has been discussed based on fossil data, e.g. Cladium (Liang et al. 2017). Here, we report on the fruit fossils of Scirpus Linnaeus. Scirpus Linnaeus (Cyperaceae) consists of herbs or perennials. The perianth has zero to six bristles. Nutlets with the beaked apexes are obovoid to ellipsoid and are biconvex to compressed 3-sided. They have smooth surfaces. Scirpus is distributed in North America, Mexico, Eurasia, Australia, and Pacific Islands (Whittemore and Schuyler 2002; Dai et al. 2010). Fossil fruits of Scirpus have been collected in Europe, Asia, and North America. Scirpus foveolatus was found in the early Oligocene Siberia (Nikitin 2006). S. microcarpus Presl appeared in the Pliocene Canadian Arctic (Matthews and Ovenden 1990). S. atroviroides was collected in the Pliocene Czarnucha and the Pleistocene Łuków of eastern Poland (Stachowicz-Rybka 2005, 2015). Scirpus sp. occurred in the Holocene Rapa Nuiis, Polynesia (Horrocks et al. 2012). Here we describe fossil fruits of Scirpus found from the early Miocene Weichang, North China; and further assign these fossil fruits to a new species, compare them with extant and fossil species, and discuss their biogeographical implications. The studied section is located in the Meiyaolin coal mine (42°07′34″N, 117°50′27″E, 1396 m), near the Guangfayong Village of Weichang County, Hebei Province, North China (Fig. 1). The sediments mostly consist of mudstone, lignite, conglomerate, and shale. These sediments are similar to those developed in the Wuluogong section (Hannuoba Formation), and their geological age has been placed in the early Miocene (about 22.1 Ma) using the K–Ar dating method (Li and Xiao 1980). Many leaf and fruit fossils have been found in the Meiyaolin coal mine, including fossil examples such as Comptonia, Dusembaya, Lepidium, Medicago, Pinus, Ulmus, and Weigela (Liang 2009; Liang et al. 2010, 2013). Based on a palynological study, the early Miocene vegetation of Weichang can be characterized as a mixed temperate forest of conifers (e.g. Pinus, Picea, Tsuga) and broad-leaved trees (e.g. Betula, Alnus), with some subtropical plants (e.g. Carya). Its climate was warm temperate to subtropical (Li et al. 2009). For this study, fossil fruits of Scirpus were collected from the 8th layer of the section (see Li et al. 2009), which consists of mudstone and lignite. The fruits were isolated from the sediment using a procedure described by Wellman and Axe (1999), and were observed and scanned with a light microscope and scanning electron microscope (SEM) (ZEISS/EVO LS10). The terminology used is based on Berggren (1969). Species: Scirpus weichangensis X.Q. Liang, sp. nov. (Plate 1). Type locality: Guangfayong Village, Weichang County, Hebei Province, North China. Type formation and age: Hannuoba Formation, early Miocene. Etymology: The specific name, weichangensis, is derived based on the fossil site in Weichang County. Repository: National Museum of Plant History, Institute of Botany, Chinese Academy of Sciences, Beijing, China. Diagnosis: Nut obovate. Lateral section slightly 3-sided. Persistent bristles 3 with downward-directed barbellae in the upper part. The style-base is point-like. Surface glabrous; epidermal cells distinct. Description: Fossil fruits of Scirpus are obovate in outline, with a length of 0.88 ± 0.04 mm and width of 0.65 ± 0.05 mm (Plate 1). Their bases are cuneate (Plate 1a-d), and apexes are obtuse or apiculus (Plate 1b, f). Their lateral sections are plumply trigonous (Plate 1a-d). The cell walls of the surface are straight (Plate 1). Three broken persistent bristles in the base are stout and have downward-directed barbellae in distal 1/2 (Plate 1a, d). The longest one is 0.73 mm in length and is as long as 0.85 times the length of the fruit (Plate 1a). The fossil fruits from the early Miocene of Weichang are obovate with a slightly 3-sided lateral section (Fig. 2). 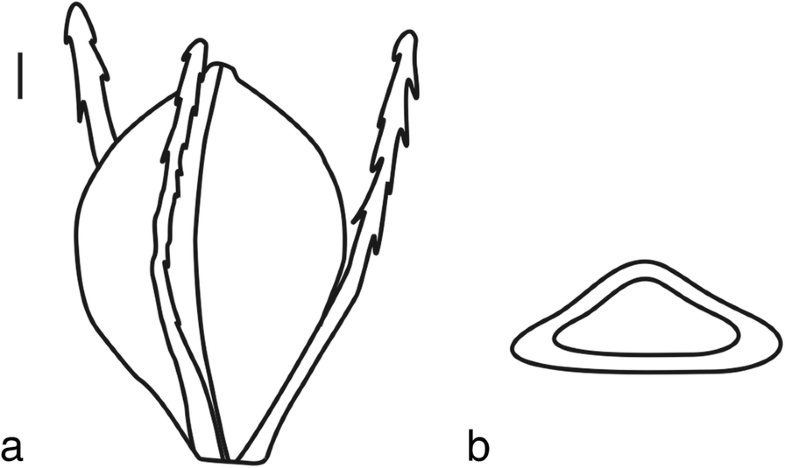 They have three stout persistent bristles with downward-directed barbellae (Fig. 2). They share similar characteristics with Cyperaceae with respect to the fruit outline, the lateral section, and bristles. As such, they belong to the family, with more than ninety genera. Among the genera, fruits of Scirpus L., Phylloscirpus C.B. Clarke, and Pseudoschoenus (C.B. Clarke) Oteng-Yeb. have persistent stout bristles with downward-directed barbellae. However, the fruits of Phylloscirpus have six bristles, and the cell walls of their surfaces are minutely reticulate–foveolate. Pseudoschoenus have fruits with 3–5 (6) bristles (Goetghebeur 1998). Fruits of Schoenoplectus (Reichenbach) Palla have the faintly to prominently rugose or with transverse wavy ridges, and are 2.5–3.5 mm in length (Whittemore and Schuyler 2002). Fruits of Bolboschoenus (Ascherson) Palla are 2.3–5.5 mm long (Whittemore and Schuyler 2002). Nutlet surface of Schoenoplectiella Lye is smooth or transversely rugulose to sharply ridged, and epidermal cells are narrowly oblong to linear (Hayasaka 2012). Consequently, fossil fruits are ascribed as being part of Scirpus. Within the genus, nineteen species have fruits with four, five or up to six bristles (e.g. S. orientalis, S. radicans, S. polyphyllus) (Oh and Ham 1998; Whittemore and Schuyler 2002; Dai et al. 2010) (Table 1). Fruits of S. atrocinctus Fernald, S. congdonii Britton, S. diffuses Schuyler, S. flaccidifolius (Fernald) Schuyler, S. lineatus Michaux, and S. longii Fernald have six slender bristles (Whittemore and Schuyler 2002). The fruits of S. polyphyllus Muell. and S. wichureae Boechkeler have filiform and silk-like bristles, respectively (Healy and Edgar 1980; Oh and Ham 1998; Wilson 1994; Dai et al. 2010) (Table 1). Fruits of S. microcarpus Presl & Presl have bristles with barbellae arranged almost to the base (Whittemore and Schuyler 2002) (Table 1). The bristles of S. georgianus Harper are much shorter than the fruit (Yu 2003) (Table 1). The fruit barbellae of S. chunianus Tang & Wang are near the apex of the bristles (Dai et al. 2010) (Table 1). Fruits of the S. rosthornii Diels are elliptic to subspherical in outline, and are smaller than the fossil fruits (Dai et al. 2010) (Table 1). The fruits of S. ternatanus Reinwardt ex Miquel are biconvex (Dai et al. 2010) (Table 1). Many fossil fruits of Scirpus are obovate, e.g. S. foveolatus Nikitin from the early Oligocene Tyumen, S. clavatus Nikitin from the Oligocene Novosibirsk, S. chandlerae Nikitin from the late Oligocene, S. nagorskyi Dorofeev from the Miocene Tomsk, S. atroviroides Wieliczk from the Pliocene Czamucha and Pleistocene Kathmandu (Dorofeev 1963; Stachowicz-Rybka 2005; Nikitin 2006; Bhandari et al. 2009). Moreover, fossil fruits of these species are commonly larger than fossil fruits from Weichang, e.g. S. foveolatus Nikitin from the early Oligocene Tyumen, S. clavatus Nikitin from the Oligocene Novosibirsk, and S. nagorskyi Dorofeev from the Miocene Tosmk (Dorofeev 1963; Nikitin 2006) (Table 2). Fruits of S. novorossicus Doweld from the late Miocene Odessa, Ukraine are ovate but also larger (Doweld 2018). S. nagorskyi Dorofeev from the Miocene Tomsk and S. atroviroides Wieliczk from the Pliocene Czamucha have fruits without bristles (Dorofeev 1963; Stachowicz-Rybka 2005). Scirpus sp. from the Pleitocene Kathmandu has fruits with the longitudinal epidermal cells and six to eight bristles (Bhandari et al. 2009). 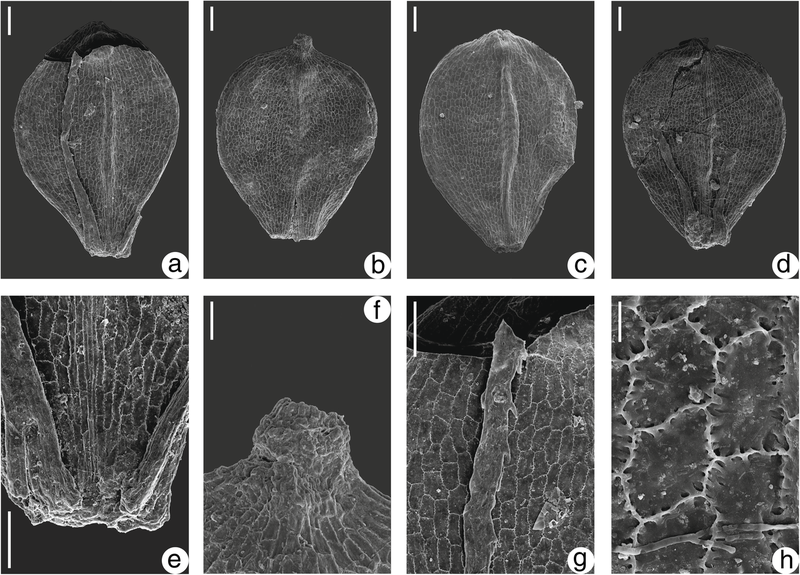 No further more information about fossil fruits without bristles can be compared with materials from Weichang, e.g. S. microcarpus Presl from the Pliocene Ellesmere, and Scirpus sp. from the Holocene Niederweningen (Switzerland), Rapa Nuiis (Polynesia), Connecticut (USA), Colorado (USA), and Jiangsu (China) (Pierce and Tiffney 1986; Matthews and Ovenden 1990; Drescher-Schneider et al. 2007; Li et al. 2008; Horrocks et al. 2012; Strickland et al. 2014). Thus, we ascribed fossil fruits from the early Miocene of Weichang to a new species, Scirpus weichangensis X.Q. Liang, sp. nov.
Extant plants of Scirpus usually grow in wetlands, swamps, and marshes (Goetghebeur 1998). Scirpus weichangensis appeared in the early Miocene deposit in Weichang, with Weigela (Liang et al. 2013), indicating that Guangfayong was a wetland in the early Miocene, and then the wetland gradually disappeared as a result of land uplift. The fruit fossils of Scirpus were firstly found in the early Oligocene of Tyumen (Nikitin 2006). And, a noticeable point here is that we inclined to keep Nikitin’s fossil species of Scirpus based on the fossil morphological information, although many fossil species of the genus have been ascribed to other genera (Doweld 2018). They appeared in the Miocene of Tomsk, Odessa and Weichang (Dorofeev 1963; Doweld 2018; and this study). They were collected in the Pliocene of Ellesmere Island, Echigawa, Prince Patrick Island, and Czarnucha (Matthews and Ovenden 1990; Stachowicz-Rybka 2005; Yamakawa et al. 2008). They were found in the Pleistocene of Kathmandu, and Łuków (Bhandari et al. 2009; Stachowicz-Rybka 2015); and in the Holocene of Niederweningen, Rapa Nuiis, Hamden, Ziegler Reservoir, Sacramento-San Joaquin Delta, and Tangnan (James-West 1977; Pierce and Tiffney 1986; Drescher-Schneider et al. 2007; Li et al. 2008; Horrocks et al. 2012; Strickland et al. 2014). Based on genus fossil data, Scirpus originated in the Oligocene of Siberia, and then migrated widely into Europe and Eastern Asia during the Miocene. It occurred in North America through transoceanic dispersal in the Pliocene. Scirpus then spread widely around the world in the Holocene (Fig. 3). Fossil fruits of Scirpus were first reported from Weichang County, Hebei Province, North China. They were obovate in the lateral view and trigonous in the transverse section, and had three stout persistent bristles with downward-directed barbellae in the apical half. Compared with extant and fossil species of the genus, they were ascribed to Scirpus weichangensis X.Q. Liang, sp. 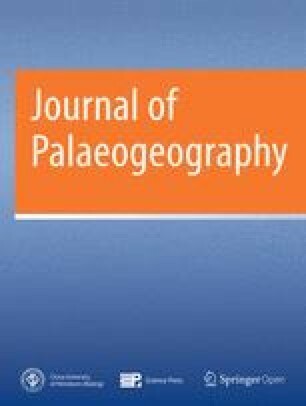 nov. Based on the systematic research of fossil fruits of Scirpus, this study could infer that its plants first occurred in the early Oligocene Siberia (S. foveolatus), and then appeared in the Miocene Asia (e.g. S. weichangensis), subsequently grew in North America in the Pliocene (e.g. S. microcarpus from Ellesmere Island, Canada) and in South Hemisphere in the Holocene (e.g. Scirpus sp. from Rapa Nuiis, Polynesia). And finally, distribution of the genus was nearly cosmopolitan. The authors are grateful to the Central Lab of the Xishuangbanna Tropical Botanical Garden for their helps in SEM. Thanks are also expressed to two anonymous reviewers for their helpful comments. This research was supported by grants from the National Natural Science Foundation of China (Nos. 31760057, 31860049, 41502017, 41072022). Information of data and material(s) was in figures, plate(s) and tables of the manuscript. X-QL and C-SL collected the materials. PL and X-QL carried out the experiment and wrote the manuscript. YL, J-WZ, Y-ZL and C-SL helped modify the manuscript. All authors read and approved the final manuscript.